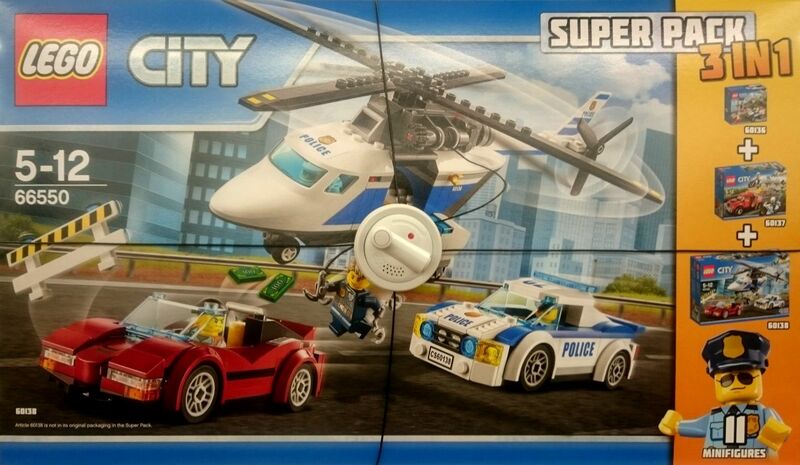 A new City Super Pack is available on retail for those who want some new Police vehicles and mini-figures. 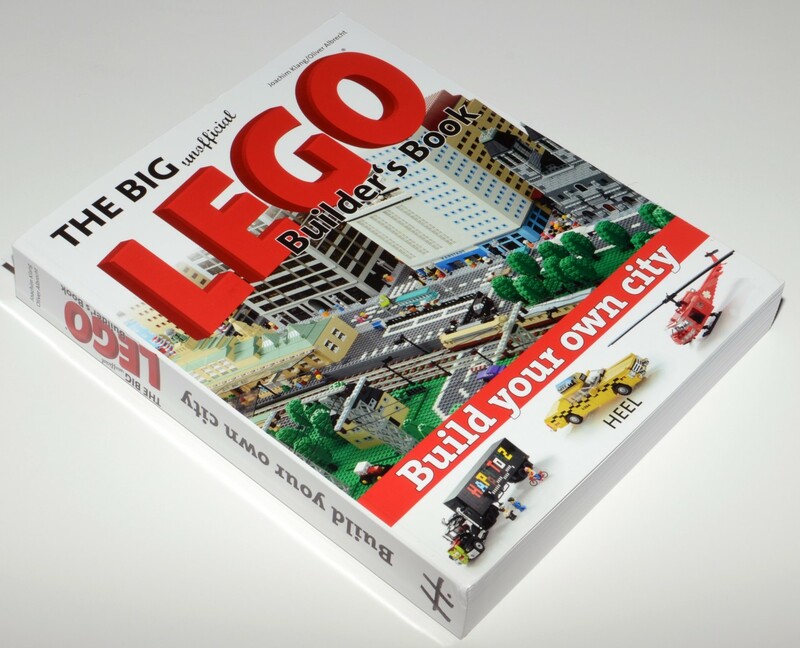 The box includes three Police sets: a police starter set (60136), the Tow truck Trouble (60137) and finally the biggest High-speed Chase (60138) in a total of more than five hundred pieces. In terms of vehicles, you’ll get a pretty decent Police helicopter, a red convertible, a high-speed police car, a tow truck, two motorcycles and an ATV. 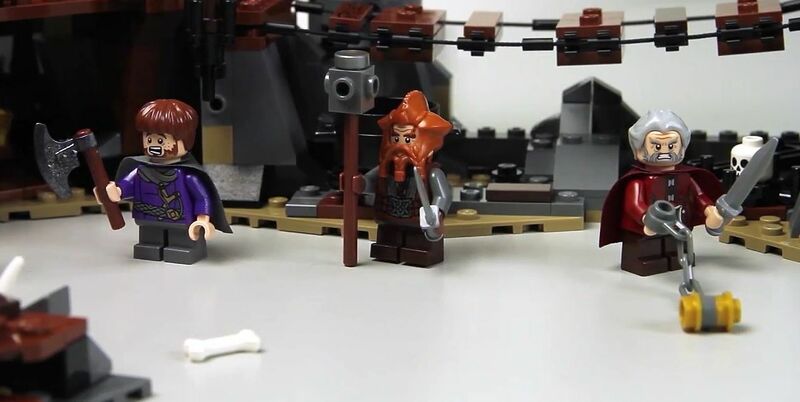 If we attempt to the minifigs, there will be ten in total, including six police officers and a few crocks. 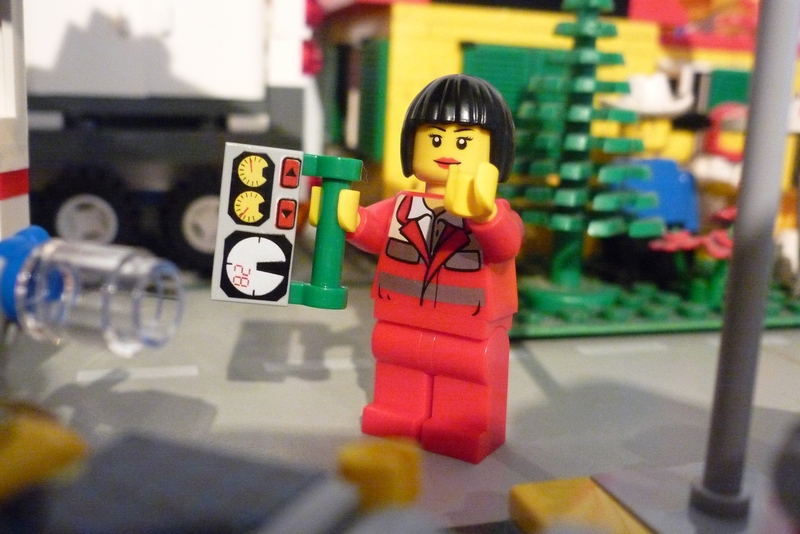 There are also some nice accessories, namely a big safe box, an ATM and some police barriers. Recently I’ve seen this new city super pack on my local toysrus store. For those who especially enjoy this new city sub theme, it’s surely a nice opportunity to get the ends on four sets and spend some really nice hours of fun. 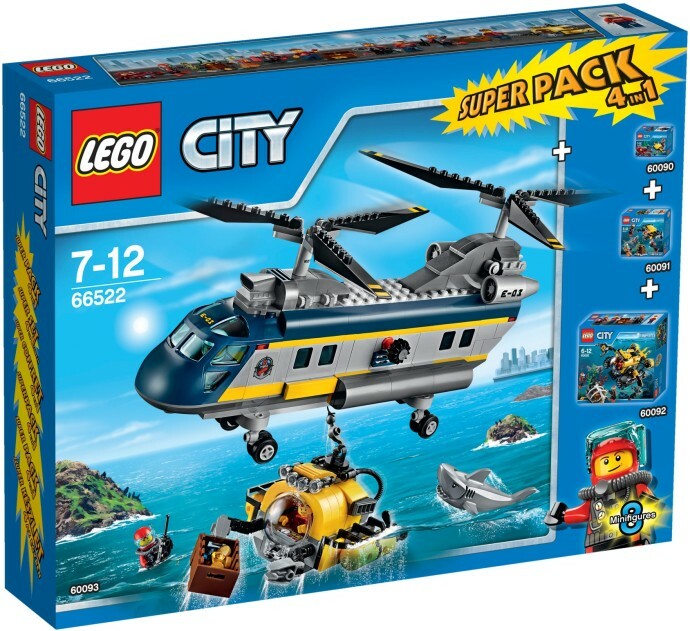 The set includes a total of almost eight hundred pieces and features two entry sets, the Deep Sea Scuba Scooter (60090) and the Deep Sea starter set (60091), the bigger deep Sea submarine (60092), and finally the head set, the Deep Sea Helicopter (60093). Globally, it brings five nice vehicles, eight mini-figures, most of them sea divers, and an endless number of nice accessories including three sharks. This new 2015 City Super Pack looks fantastic. 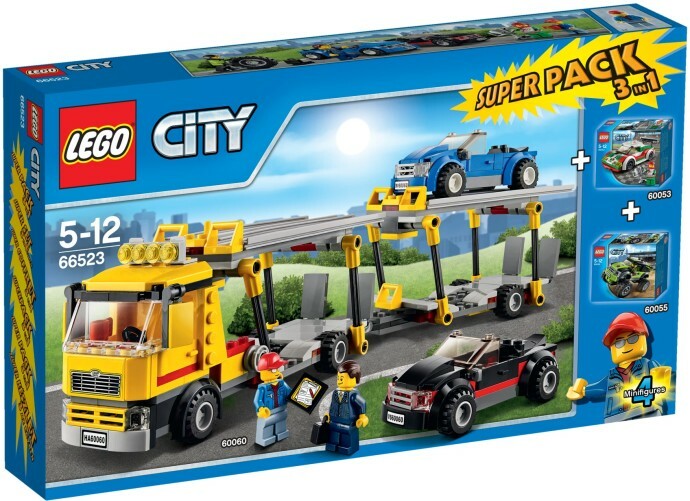 It consists of three 2014 city sets that join the small race car (60053), the bigger Monster Truck (60055) and the head vehicle of the pack, the auto transporter (60060) in a total of five vehicles (the lorry includes two convertibles) and four mini-figures. The Auto transporter is awesome in terms of features and playability and with a bit of careful it is possible to transport the monster truck and the race car on the top. The trailer has exactly the same transportation mechanism of the truck and can also be attached to other vehicles. The monster truck and race car belong to different “championships” but are definitely fantastic in terms of design. 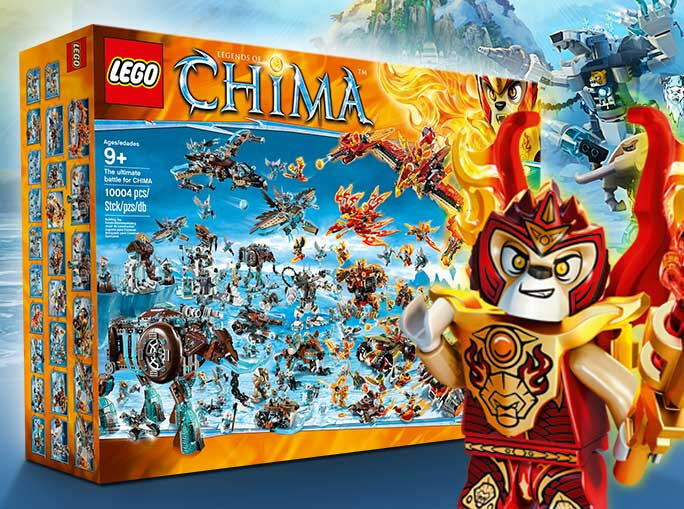 A new Mega Giant but unfortunately very exclusive Chima’s set, the ultimate battle for Chima, with more than ten thousand pieces (!!!) 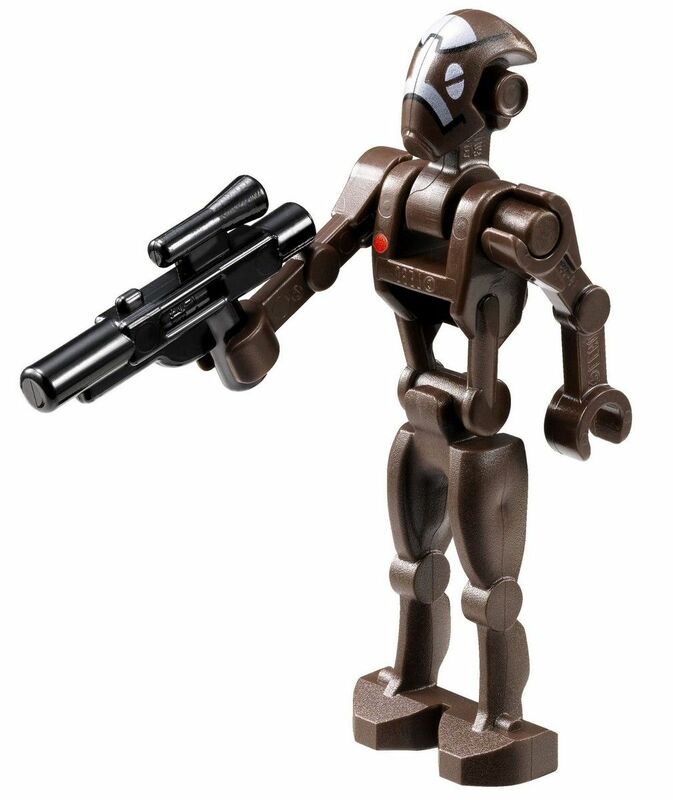 that will include twenty five sets and ninety two mini-figures, probably the ones that were released on the last set waves, will be part, as a contest prize, of a US Lego Club contest . 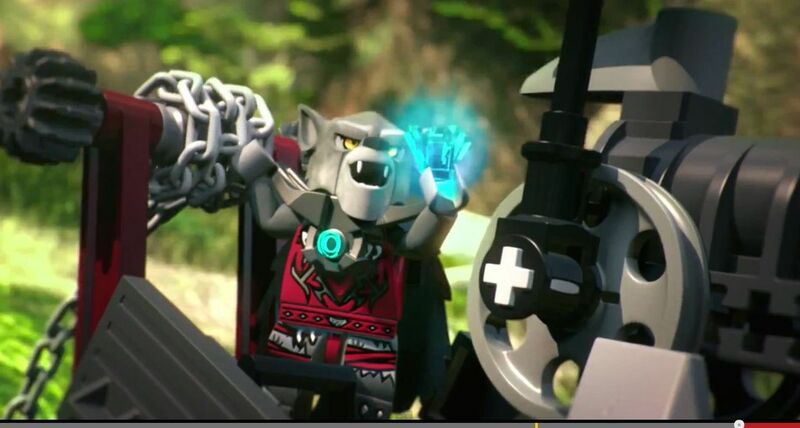 I’ve never been a huge fan of this theme, but just by looking at the set box (that picture is awesome!!) I would say that putting the hands on it should be absolutely a unique experience in terms of building experience and playability. 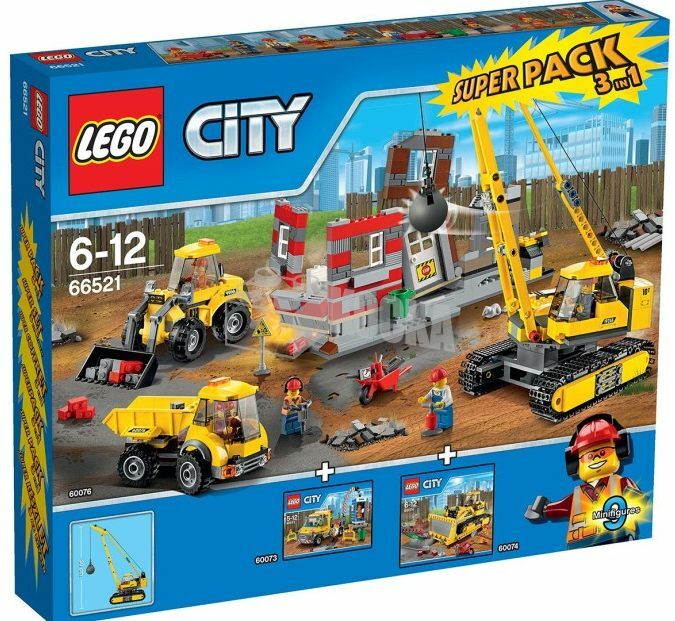 For those who enjoyed the new City construction sets, here is a good opportunity to get a few of them and save some bucks at the same time. The new super pack brings three different sets from this year’s new wave and feature, as you can see,, five vehicles, nine mini-figures and lots of additional accessories to play with.